Theatre tradition in Sanskrit was very rich & highly developed in ancient India. One more theatre tradition was there which was folk theatre tradition. Sanskrit Theatre tradition which was originated before Kalidas, developed rapidly up to 8th century. Thereafter emergence of outside forces restricted its growth up to beginning of 19th century. In all adverse conditions Folk Theatre kept alive its identity. Even in folk theatre two streams Ras Lila & Ram Lila was much popular & they contributed to development of modern theatre. For the pioneers of Modern Theatre like Vishnudas Bhave such traditions only were available for reference. 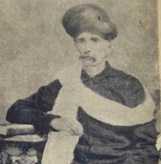 In 1840’s Vishnudas Bhave started Marathi Theatre. Before him king of Tanjore Bhonsle had written & staged few dramas which was basically inspired from ‘Jan Natak’ of that period & folk traditions like ‘Yaksha Gaan’ & ‘ Bhagvat Mela’. Within short period after that in 1850’s Parsis started Parsi Theatre in Bombay. Parsis were basically Gujarati. They started playing dramas in their Parsi language, which was typical form of Gujarati, language. 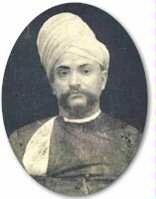 In 1871 Dadi Patel staged first ever Urdu drama which was an Urdu translation of (Parsi) Gujarati drama ‘Suna Na Mul In Khurshed’ (Written by Edalji Khori, translated by Behramji F. Marzban). Around 1878 two brothers Mulji & Waghji Asharam Oza established ‘Morbi Arya Subodh Natak Mandali’ in Morbi (Saurashtra) & started Gujarati Theatre activity on full flagged. Thus all these three tradition are found distinct from each other at end of 19th century. However staging of Gujarati Dramas by Parsis & staging of Urdu – Hindi Dramas by Gujaratis are found up to 1930’s & even beyond that. Music of theatre is a unique feature of Indian culture. The main contribution of professional theatre which started in India in mid of 19th century is its music which was such significant that it is suppose to be given special identity as one more class of Indian musical tradition but it does not happened. In the initial period (up to 1866 AD) music was not considered as a part of drama but was used to present at middle or end of drama in form of concert. Then after tradition of singing song in main stream of story came in to existence. 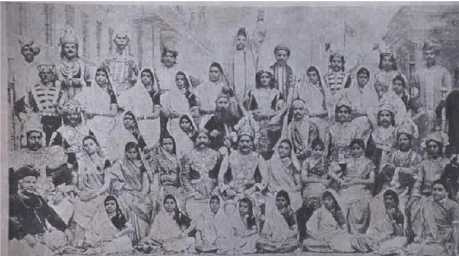 In Parsi theatre music one important type was of COMIC SONGS which was a unique feature significantly found in Parsi – Urdu & Gujarati theatre. Phirozshah Mistry, Sorabjee Dhondi, Master Mohan etc. were famous comic artists of that time. Their records were also cut in large numbers, which remained popular for a long time. Comic songs are also found in Urdu theatre. Apart from Classical based songs & comic songs there were also some English songs or Western Music based songs. Many times such songs were comic songs. In beginning music of Gujarati Theatre was highly influenced by Parsi-Urdu Theatre. In this period overleaping and interactions of Parsi-Gujarati theatre was such an intense that it is very difficult to discriminate both. Attempts of incorporating classical music were done. However traditional folk music also find its way because the majority of viewers class belonged to rural population particularly in villages.